What begin over 40 years ago as a small restaurant on South Congress Avenue in Austin, Texas, Schlotzsky’s is now a sandwich franchise in over 35 states as well as three countries. Looking to infuse their Texas roots into each restaurant, the "Austin Eatery" concept was created. 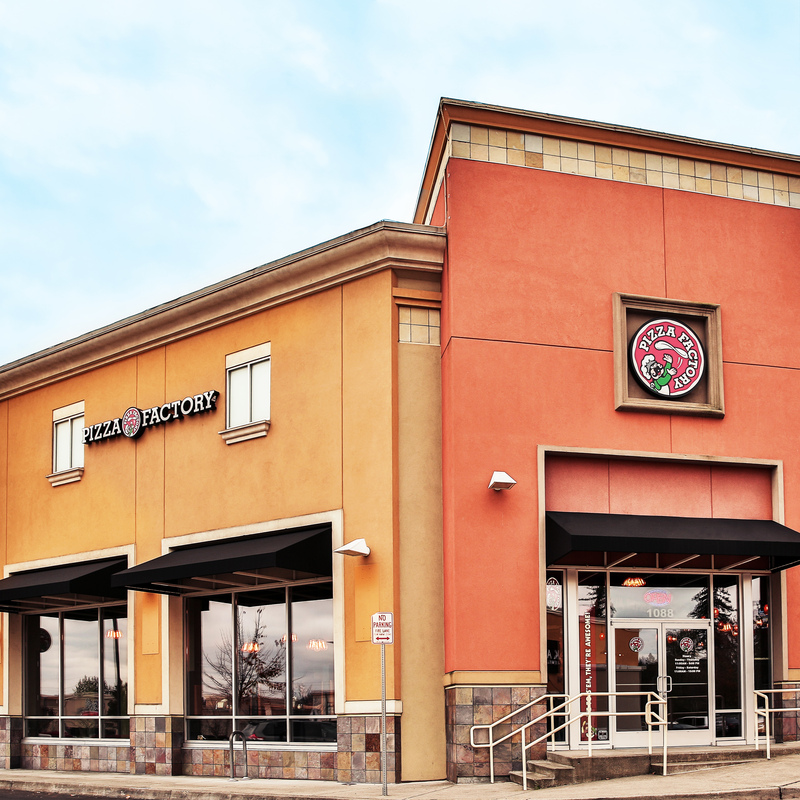 Schlotzsky’s needed a reliable, quality manufacturer to produce the elements within this new design, including millwork, themed signage and a drive-thru system. Upon receiving the basic concept design, imagery and architectural plan of the prototype location, VGS/Studio D developed an interior and exterior package that incorporates branded signage, millwork and exterior elements. VGS produced the entire interior millwork package, including the front counter, beer and wine counter, soup and salad station, as well as community tables with charging stations, and much more. These elements feature custom cabinets, custom countertops and custom facings. 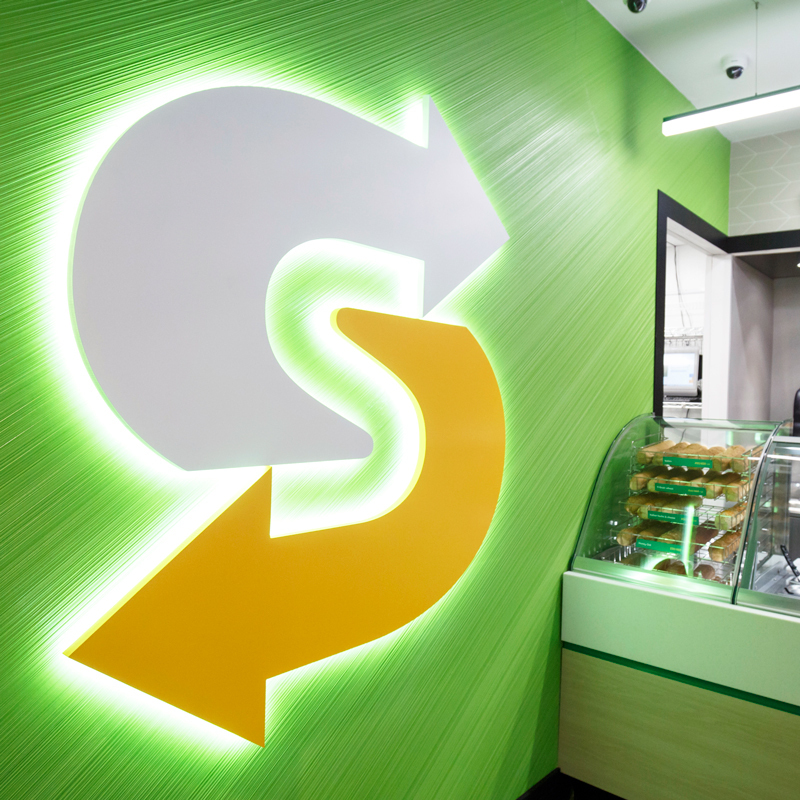 In addition to the interior millwork, Studio D designed (and VGS produced) additional themed elements including branded signage, directional signage, the signature Schlotzsky’s "S," and an exterior accent door. To effectively communicate the same brand experience outside, VGS fabricated a custom drive-thru solution as well as exterior signage elements. A pre-sell board, canopy, clearance bar and main menu board make up the drive-thru, while signature banner artwork, custom directional signage and a custom building directional sign complete the exterior package.